Last week I was able to attend the International Performing Arts for Youth (IPAY) Showcase in my sunny hometown of Austin, Texas, which presented incredible performances of music, vaudeville, contemporary dance, theatre, and puppetry from all over the world. The Children’s Cheering Carpet is a narrative journey of two Aboriginal friends through the diverse land and soundscapes of Australia. 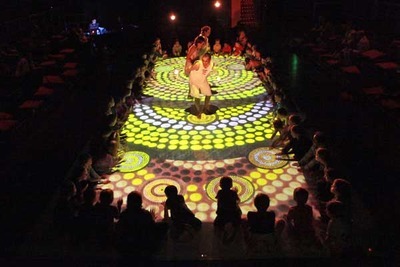 Throughout their journey, children from the audience are invited to dance and play with the interactive technology – a touch-sensitive white floor using infrared technology triggered by images and sound. The vibrant images projected invoke Aboriginal and contemporary Australian imagery, sound, wildlife, and culture. I won’t ruin it for you, but there is a particularly wondrous moment in which children are invited to stargaze under the vast Australian sky. 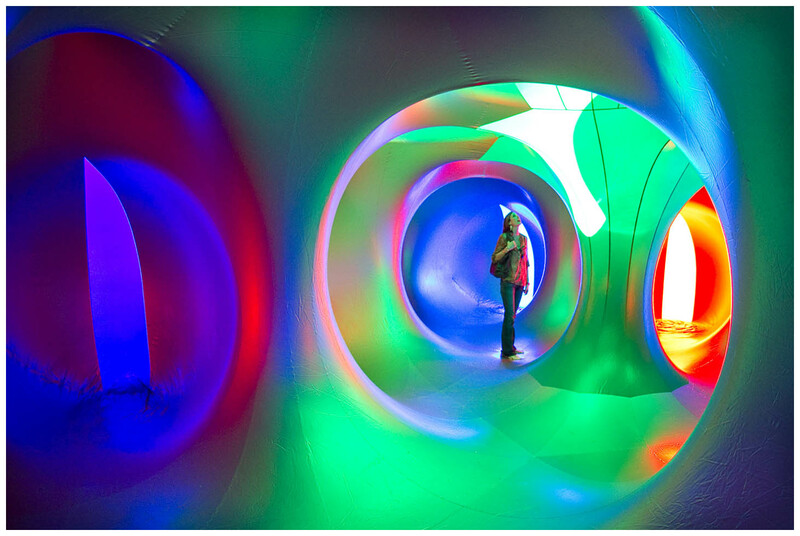 So there you have it – two extraordinary examples of how the (re)emerging trend of participatory art is put into effect for kids and families. And I wouldn’t have experienced these performances without attending IPAY in Austin. Although Showcase 2012 was four jam-packed days of performances, networking, and professional development, I have returned to NYU Skirball energized and excited about what we have to offer youth and families in our own community! Chloë Rae Edmonson, an Education Associate at the Skirball Center as well as a grad student in Performance Studies at NYU Tisch.